CALIFORNIA – Tulare County and California’s most recent former governor, Jerry Brown did not see eye-to-eye on much, but they were able to agree on one thing just before Brown’s departure. The clemency petition of convicted Tulare County killer Richard Flowers was essentially denied by Brown on his last day in office, Jan. 7, when he took no action on the petition. The 68-year-old was convicted in 1996 of first-degree murder with the special circumstance of burglary and robbery. The jury ultimately determined he was responsible for the murder of a 78-year-old Tulare woman and was subsequently sentenced to life in prison without the possibility of parole. 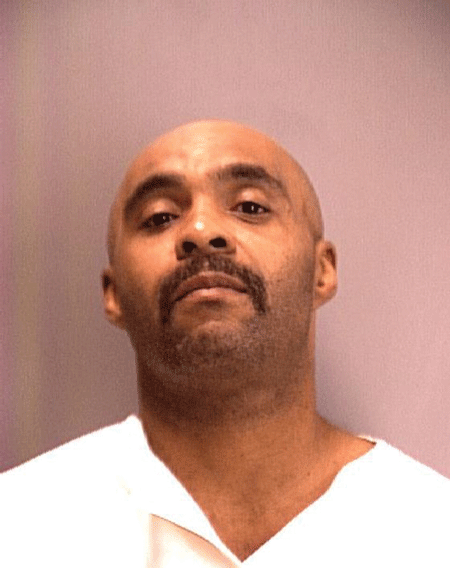 Flowers was recommended a sentence commutation in 2018 by the Board of Parole Hearings after Flowers petitioned for clemency from Governor Brown. In October of 2018, the Tulare County District Attorney used social media to urge the community to contact the Governor regarding Flowers’ case. Flowers will remain in prison for life without the possibility of parole. He may file an application for clemency with new Governor Gavin Newsom’s office. According to a letter to Brown from DA Ward, in June of 1994, Mary Eloise Garcia, the 78-year-old victim, lived alone in the house where she had lived for over 50 years and where she was murdered. Garcia lived on her Social Security income and kept any cash she had in her purse rather than a bank account. She was cautious about who she let in the house, using a peephole and having visitors announce themselves before being allowed in. Flowers occasionally did yardwork for Mary Garcia and she would sometimes invite him in when she retrieved the cash from her purse to pay him. In the early morning hours of June 6, 1994, neighbors heard Mary’s voice and a man’s voice arguing; the next day, Mary’s car was not in her driveway. A handyman and a neighbor approached the front porch and noticed her door was slightly open. When Tulare officers responded to the victim’s house, they found Mary dead on the living room floor and her house and purse ransacked; no money was found, the victim’s car was missing, and a window on the side of the house had been knocked out. The telephone line had been cut, and a kitchen knife was found on the coffee table and another found outside in a clump of grass. Garcia’s car was later found jacked up in a stall of a car wash, with the stereo, all four tires and rims, and the spare tire missing. Mrs. Garcia had suffered three stab wounds, to the neck, chest, and ribs, as well as bruising and abrasions to her face, an apparent defensive wound to her inner arm, and an attempt at strangulation. The cause of death was determined to be a heart attack brought on by the stress of enduring the stab wounds and strangulation. Just a portion of the evidence against Flowers was that he was in possession of items belonging to Garcia, such as a locket and chain, his fingerprints were found inside the victim’s vehicle in several locations, one of which was on the steering wheel, and throughout the day he removed the hubcaps, tires, and stereo from the victim’s vehicle and sold them for money to buy cocaine. Ward added in his letter, Flowers already had a criminal history spanning 20 years by the time he committed the instant offenses. His history of adult convictions began in 1974 and was comprised of six separate prison sentences, two from the state of Illinois, which included his first residential burglary conviction in 1979 and two subsequent prison sentences for first-degree burglary convictions in 1983 and 1987. His other prison sentences were for grand theft in 1974, receiving stolen property in 1990, and check fraud in 1993. This period of criminal behavior, spread out over 20 years, additionally included multiple violations of parole. Ward says Flowers had numerous opportunities for rehabilitation and to change his behavior in an appropriate and positive manner; instead, despite having a good education, a wife, and several children to raise, he chose to continue to engage in criminal conduct for a period of 20 years. Not only did he demonstrate an outright unwillingness to obey the law, but the level of violence in his criminal behavior escalated, as evidenced by the cruel, vicious, and fatal crimes against Mary Garcia, Ward stated.